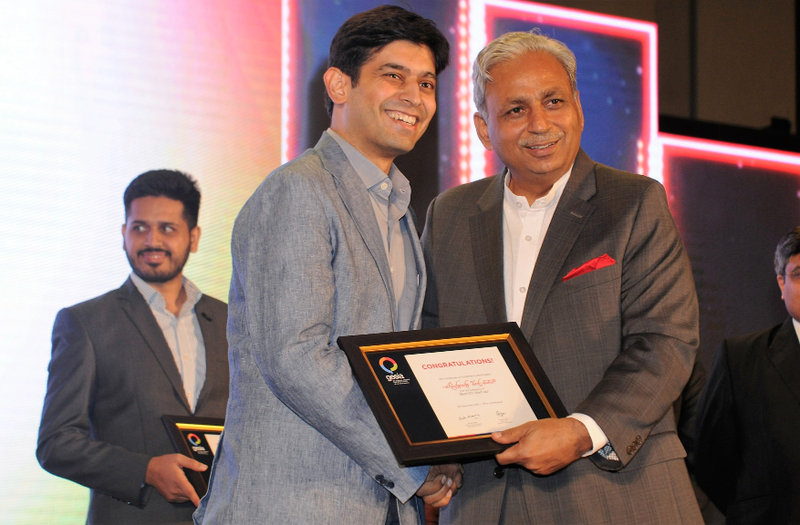 GESIA Awards 2016 Startup Category Finalist - Receiving the award from Mr. Gurnani, Chairman, NASSCOM, INDIA. We are pleased to share that Recherche Tech LLP has been honored to be among the top 6 finalists for GESIA 9th Annual Awards, 2016 for its product the My sCool Server in the ‘Best ICT Startup’ category. For a very young startup it is an extremely humbling experience to make it to the top amongst 200+ contestants. It encourages us to keep working towards our mission to usher in a socioeconomic revolution by making computer literacy and therefore digital inclusion affordable and achievable across all strata of society. GESIA IT Association, represents the ICT industries of the Gujarat state and works hand in hand with Gujarat government with the agenda of promoting industries like IT (Software and Hardware), ITes, Electronics, Telecom and Networking.